Get ready for a very special conversation with Father Gregory Boyle, founder of Homeboy Industries, the largest gang intervention, rehab and re-entry program in the United States. Father G sat down with Kayla Craig during his visit to Iowa to discuss kinship, compassion, and hope in suffering. We welcome you into this intimate conversation. 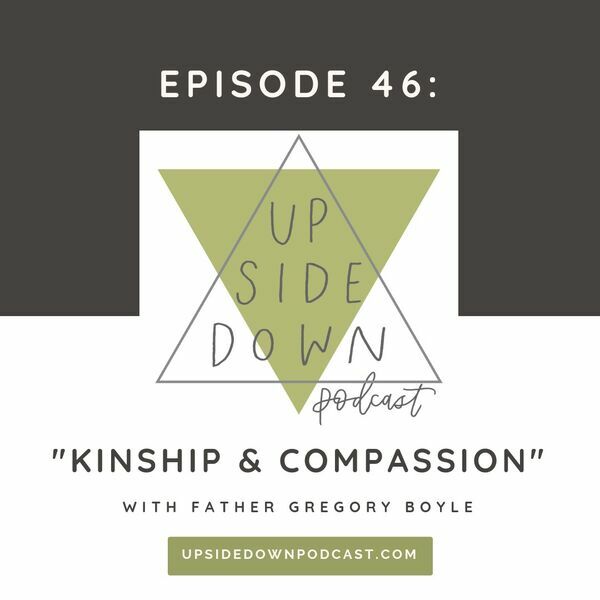 Soak up Father G's tender, funny, and compassionate wisdom from years living a faithful life of kinship with those on the margins. As CEO of Homeboy Industries, Father Gregory Boyle has dedicated his life to loving L.A.'s most marginalized individuals. Homeboy Industries started in 1988 and employs and trains former gang members in a range of social enterprises, as well as provides critical services to 15,000 men and women who walk through its doors every year seeking a better life. Father G has become a beloved beacon of hope around the world and after this episode, you'll know why. Peel back the layers of prayer in the midst of suffering. Discuss the holy act of being in awe of others. Reflect on God's silence in our pain. Dive into Father G's thoughts on burnout and self-care (it's probably not what you think). Join us as we hear words of wisdom from Father G, who generously shares his heart with us and answers all of our nosy questions. He also lets us know what books he's reading lately!